← Roast Pork With Fig-Jalapeño Jam And Cheesy Mashed Potato Pots. New Music From Bear Cavalry. Banana Chocolate Chip Muffins. Music From Matthew Mayfield. Anyone else think this whole ‘Frankestorm’ name thing is ridiculous? I am in no way saying that I think this is not a big weather threat and shouldn’t be taken seriously, but ‘Frankenstorm’? Really? To prepare I think I will go ahead and eat all of the Halloween candy. 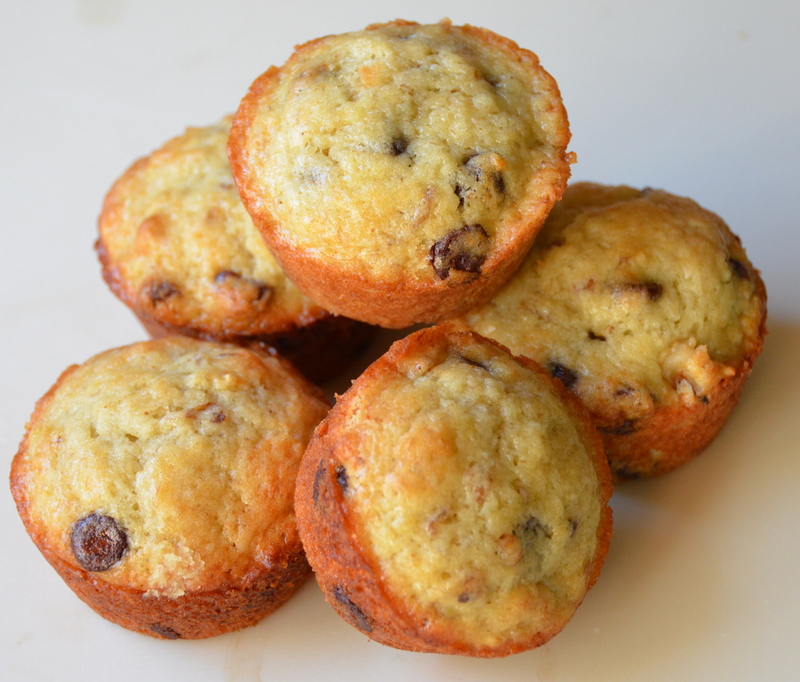 I love banana muffins with chocolate chips. Last time I posted a recipe they had pecans in them. This batter is very similar to that recipe with just an added richness from the sour cream. The walnuts are a nice change, too. 2. Grease 18 to 20 muffin cups. 4. Cream butter and sugar together with a mixer. Stir in mashed bananas and eggs until well blended. Add sour cream, vanilla, chocolate chips and walnuts. Pour over flour mixture and stir just until dry ingredients are moistened. 5. 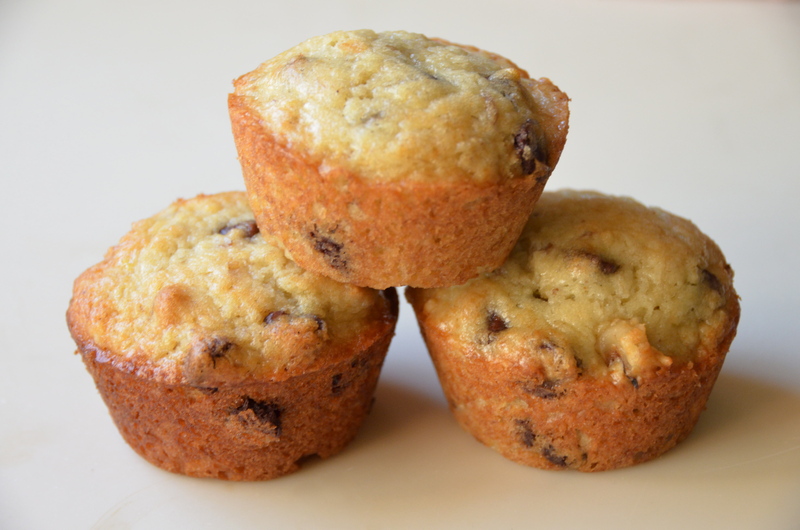 Divide batter among muffin cups. Bake muffins until tops are pale golden and firm when touched in center, about 15 to 20 minutes. Remove to cooling racks and serve warm or at room temperature. Matthew Mayfield has a new album out and it is available for free this week on his Website. ‘A Banquet For Ghosts’ is pretty somber. Emotional, mostly quiet stripped down music with Matthew’s achingly touching vocals. This song is almost too hard to listen to. I feel like I am intruding. Be sure to check out Matthew Mayfield on his Website. Upcoming US Tour dates are listed and you can buy his older music there, too. This entry was posted in Muffins and tagged Matthew Mayfield. Bookmark the permalink. 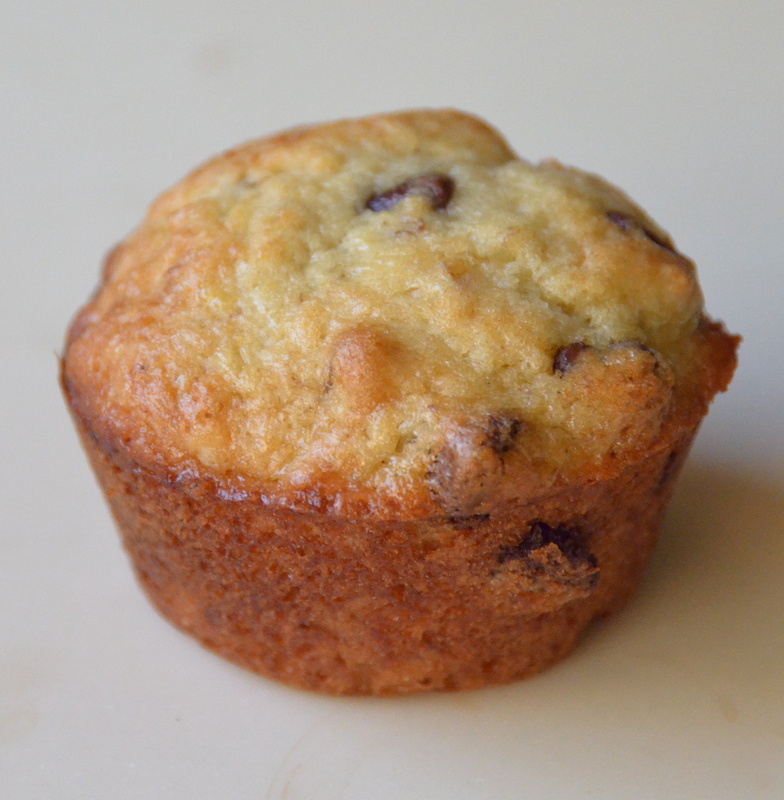 1 Response to Banana Chocolate Chip Muffins. Music From Matthew Mayfield.